Nusret Gökçe, the inimitable chef who sent the internet into hysterics and nearly inspired a fully-fledged cultural movement when he was re-born as Salt Bae, is opening a restaurant in New York City. And the man behind the meme, who owns steakhouses throughout the world, including a forthcoming outpost in Miami, is hiring for positions at his Nusr-et Steakhouse in Manhattan. So if you play your cards right, this means you can actually work for a meme. Irony, it seems, has come full-circle. 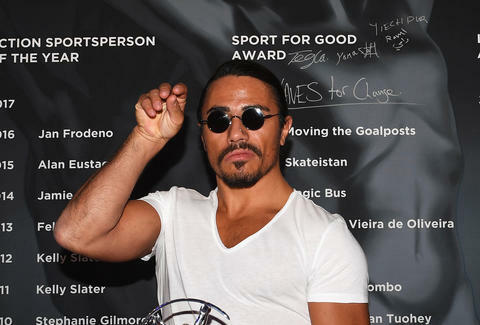 According to a Craigslist post that was first noticed by Eater, Salt Bae is looking for staff to fill up his restaurant for both front-of-house and back-of-house positions. There is no word on whether the grill cooks and butchers need to wield the same charisma and taste for delicate sprinkles as the Salt Bae himself. Natural flare in the kitchen and some six-pack abs will probably help endear you to his Salt Bae-ness, though. Given the Craigslist post, all signs indicate that Salt Bae's takeover of the NYC steakhouse scene is imminent -- he just needs disciples to help him carry out the plan. His first Miami outpost was due to open in October, and the grand unveiling in Florida should still mark his first foray into the American restaurant industry. Salt Bae already has plenty of acolytes, so those looking to apprentice under the mythic, viral star should probably up their game. After all, can you imagine how he'd conduct a job interview?